In central Minnesota, we don’t think it’s cold in January! There’s as much to do in the winter as there is in the summer! Gather your family and friends around a beautiful bonfire and let the laughter begin. You know you want to pass on those stories! Breezy Point is located on the groomed trail system in the Lakes Area. Thousands of miles of trails surround the complex, 1500 miles in Crow Wing County alone! Newest of these is the Paul Bunyan State Trail which connects Brainerd to Bemidji, only five miles from the Breezy Point entrance. 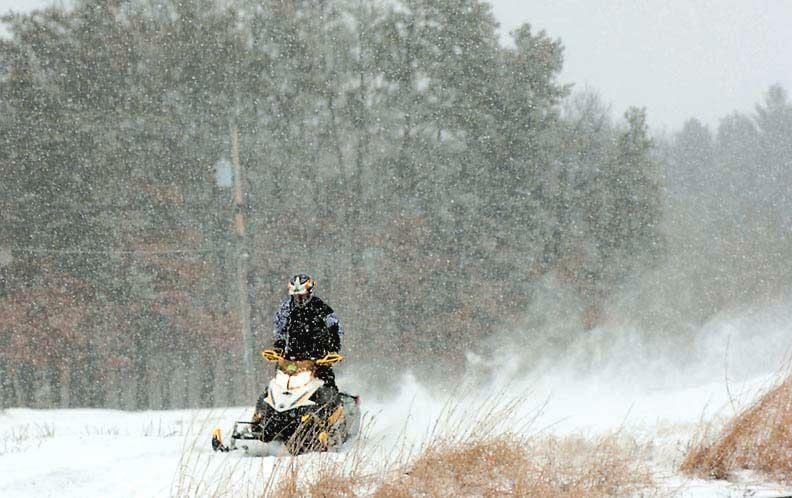 Snowmobile Rentals: Are available at SNK Motorsports in Pequot Lakes. Top quality equipment! Helmets and gear available too. Snowmobile Rentals: Are available at Boats & Beyond Rentals. Top quality NEW equipment! Helmets and gear available too. Ride the trails back to Breezy, or Boats & Beyond Rentals will deliver.